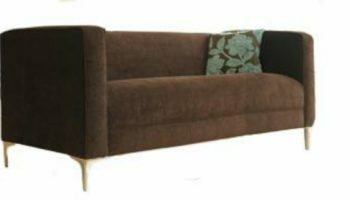 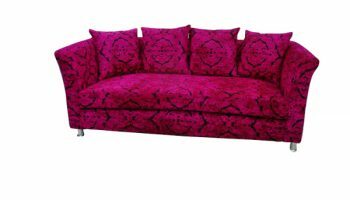 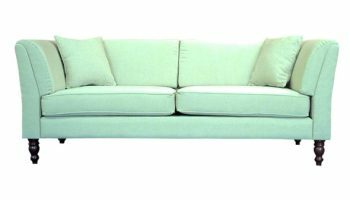 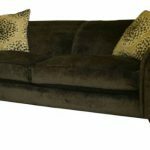 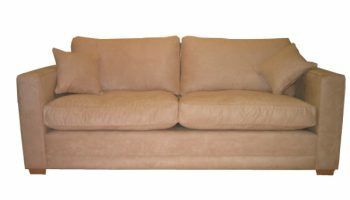 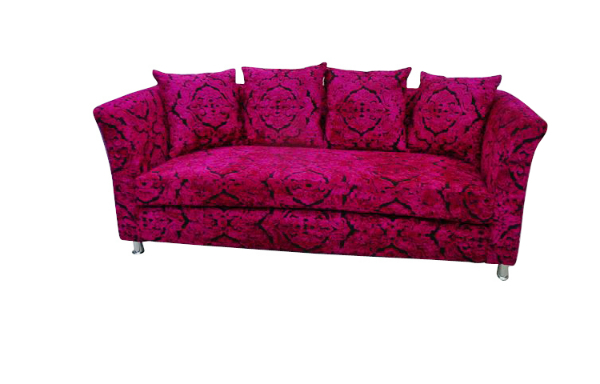 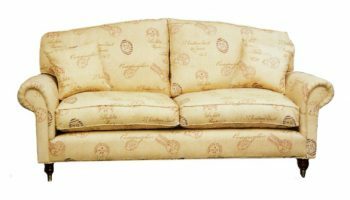 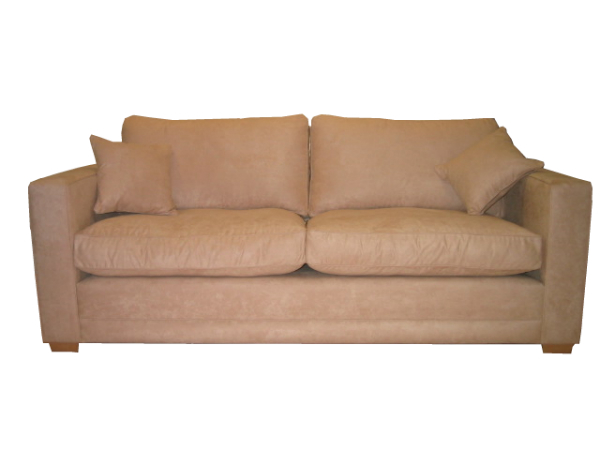 Defoe sofas and chairs made to order in fabric or leather | The Handmade Sofa Company, handmade sofas Dorset. 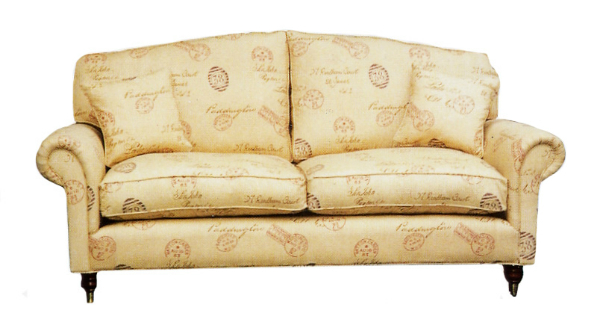 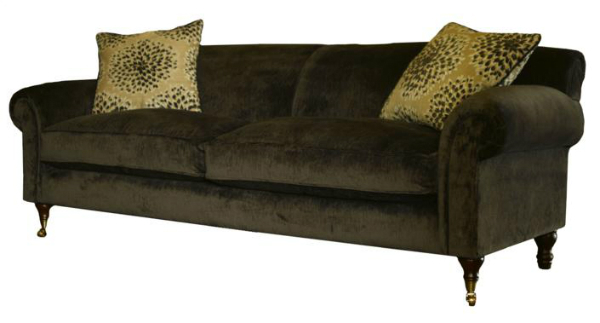 A more formal sprung-back sofa, with large scroll arms, detailed front and side facings and features turned legs with brass castors to the front. 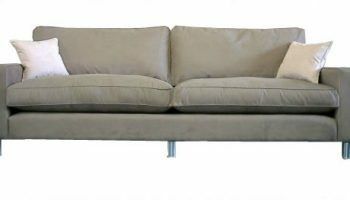 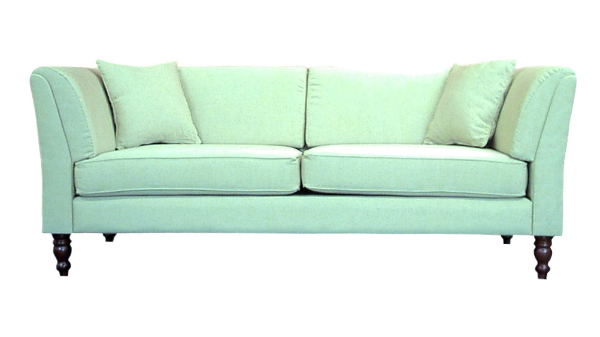 Available as a sofabed with modification – please ask for details.